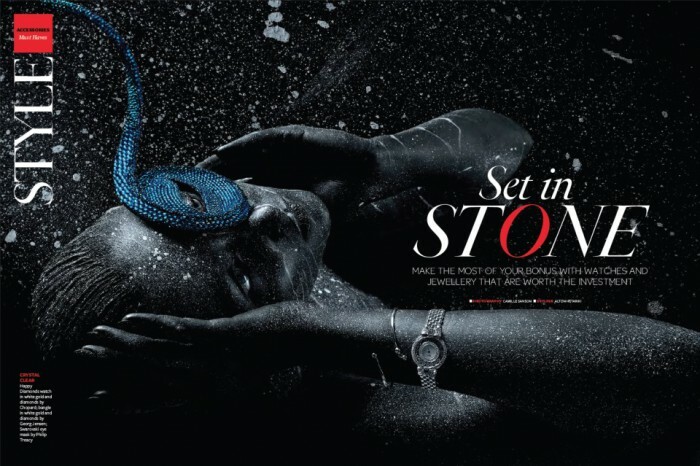 Model Amy Finlayson stars in a new jewelry story “Set in Stone” shot by photographer Camille Sanson and styled by Alton Hetariki for HK Tatler. The model stuns in glittering black makeup looks and amazing black marble body paint by makeup artist Einat Dan. Take a look at the complete story below.